"Waiting for the next trip"
The passenger ferry "Voyageur II" waits patiently for its next voyage to Isle Royale National Park from its dock in Grand Portage, MN. This image was taken in late September of this year as the Isle Royale boating season was winding down. 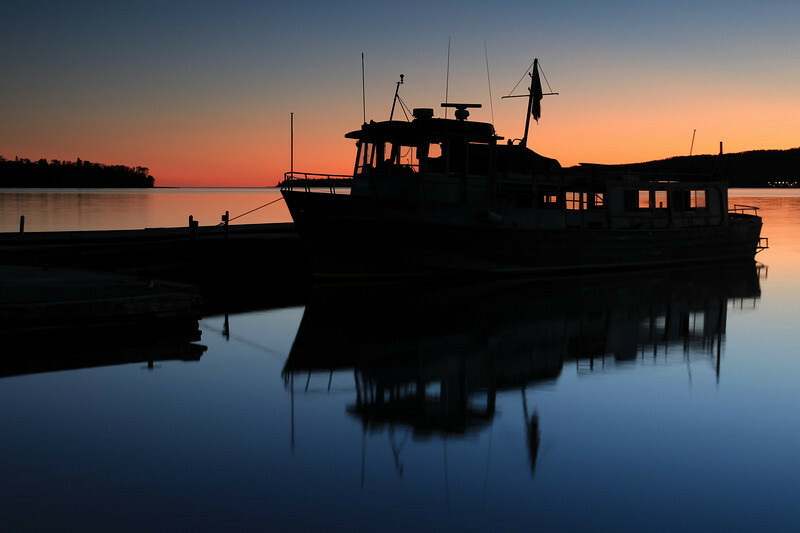 The Voyageur II is a 60' aluminum-hulled ferry that has been providing mail and passenger service to Isle Royale National Park since the early 1970's. It is the only ferry that circumnavigates the entire island, making several stops along the way so hikers and paddlers can have options for hiking or canoeing/kayaking different portions of the island. 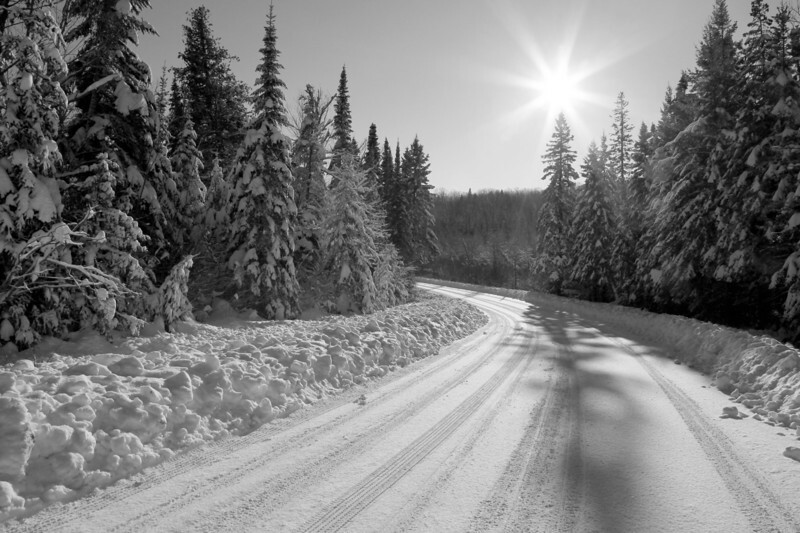 "Early winter on the Pigeon"
Grand Portage State Park, MN - Taken just after this year's first snowfall! Highway 61 on the East side of Mt. Josephine - Taken on my commute to work last Sunday morning. 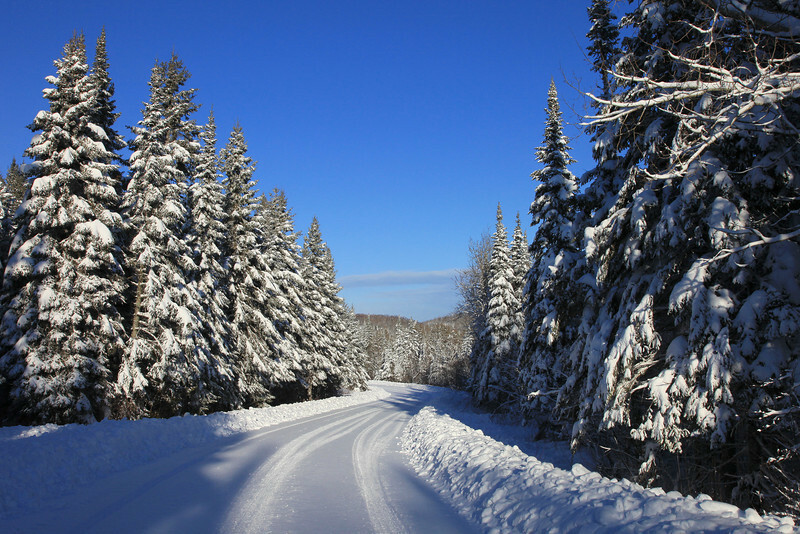 It sure was a beautiful drive with all the fresh snow sticking to the trees! 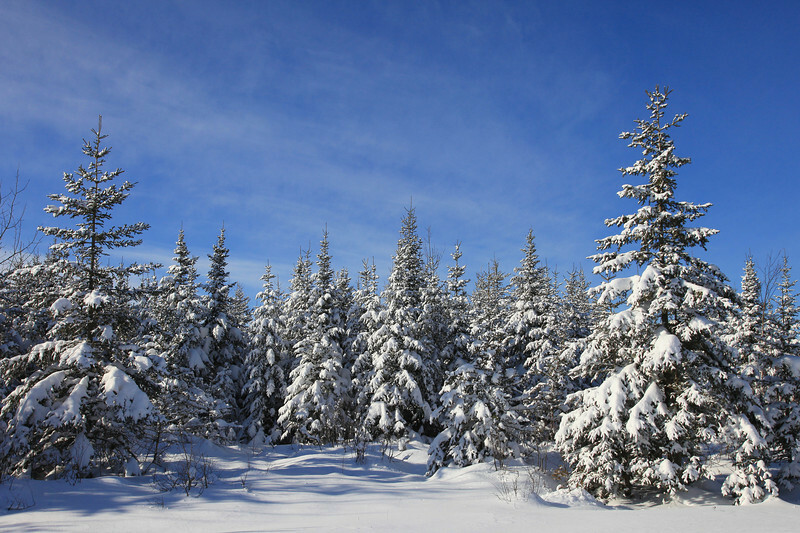 "Early winter wonderland on the Arrowhead Trail"
More than a foot of snow already blankets the landscape along the Arrowhead Trail in Northeast Minnesota on November 23, 2010. 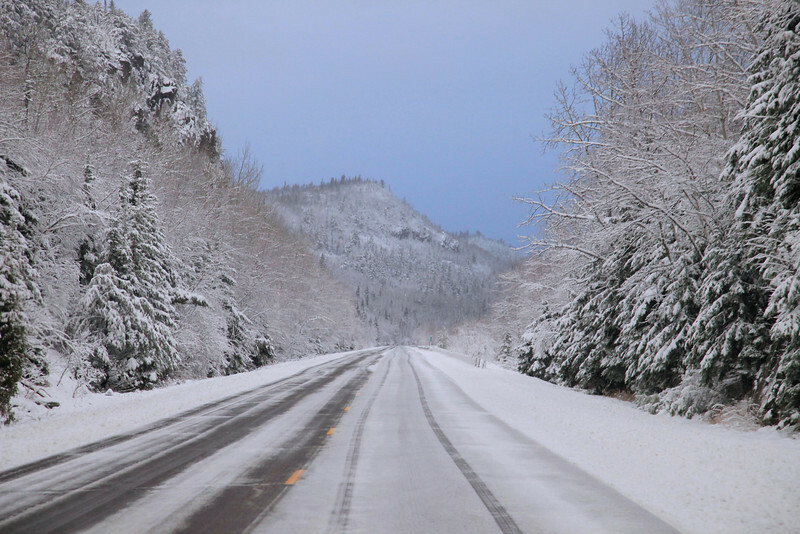 "Early winter wonderland along Old Highway 61"
Several November storms meant a lot of early snow accumulation inland from Lake Superior near Grand Portage, MN. This photo was taken on November 25, 2010. I was a bit disappointed that these storms left little snow in my yard. I live right on the shores of Lake Superior and early winter storms often mean that rain falls along the shoreline instead of snow. 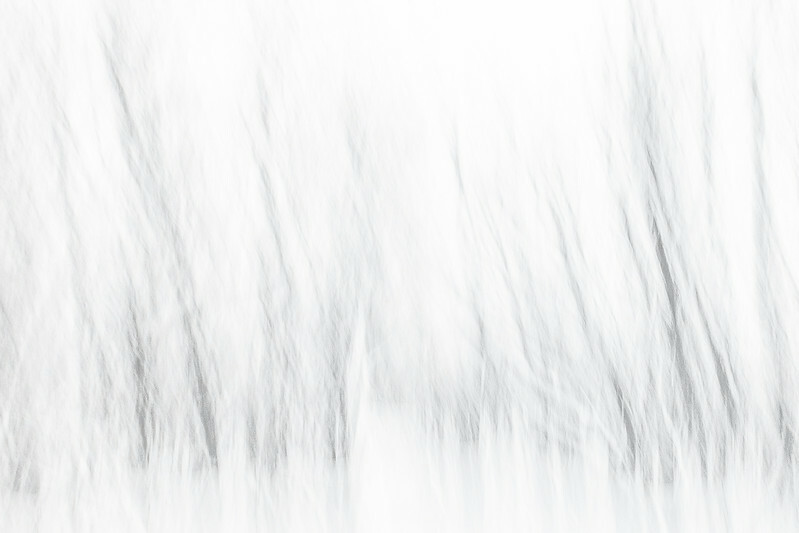 Right now I barely have one inch of snow covering my yard, however one only needs to drive a few miles inland to see the ground covered with almost two feet of snow already! 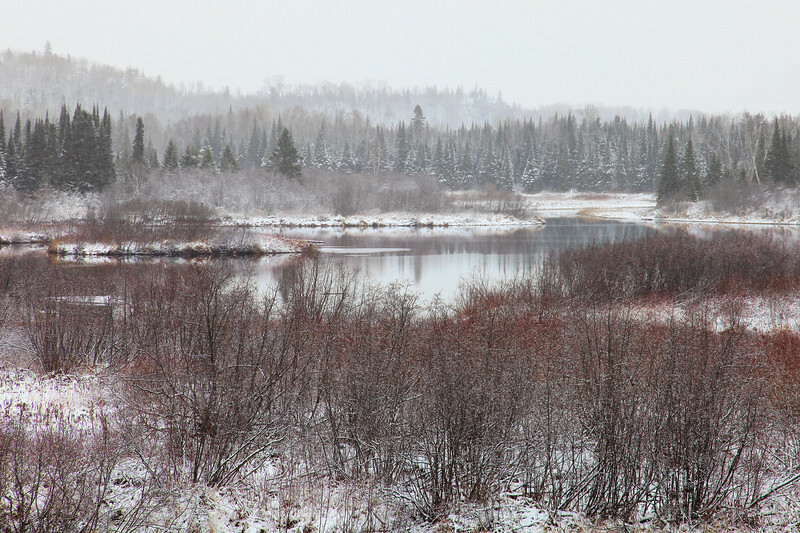 Minnesota Northwoods on Thanksgiving Day, 2010 - Grand Portage, MN. A different world from the shoreline of Lake Superior where only an inch or two of snow had fallen, a few miles inland was a different story. Here nearly a foot of freshly fallen snow blanketed the landscape on Thanksgiving Day!